Marc Maron has been a standup comic for half his life. He’s performed on stage at many notable clubs but it’s in his Los Angeles garage that he’s truly found his voice. 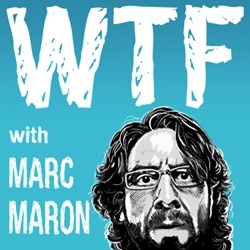 In 2009 Marc began his WTF podcast and since then has broadcast two interviews a week. More than a talk show, WTF is a living, breathing cultural history of the comedic industry through the stories of those who’ve made their careers from it. For those unfamiliar with the inner workings of the comedy circuit, it’s forgivable to think these performers are cheery all the time. As these in-depth, often personal, interviews show, all is not rosy. In fact, comedians might just be the most tortured people on earth.The Slate Culture Gabfest has endorsed WTF a few times and when Dana Stevens suggested that new listeners skip the first 10 or 20 minutes, the time allotted to Marc’s notorious monologue, the two got into a Twitter fight. Out of character, The Culture Gabfest invited Marc on their show and it was incredible. You can listen to his segment here. Marc comes in around the 25 minute mark. I highly recommend Marc’s keynote speech at the Just for Laughs Comedy Festival in Montreal. The Nerdist, hosted by Chris Hardwick, a man who might be familiar to Generation Xers as the host of MTV’s Singled Out, a dating show that ran in the mid-90s, is another source of great interviews with entertainment industry people–but much lighter in tone. Chris has serious nerd-cred. He’s a contributing writer for WIRED magazine, hosts Web Soup, a show on the G4 network that comments on viral videos, and hosted the Interactive Award show at this year’s SXSW festival. The A.V. 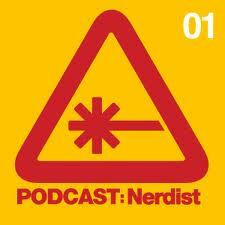 Club named The Nerdist the best podcast of 2010. Now if that doesn’t sell you, I’m not sure what will. 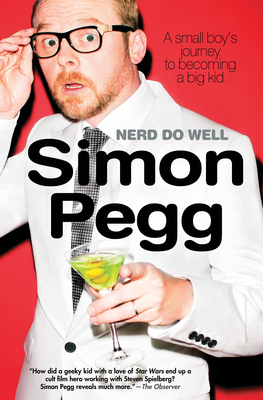 Oh and, Chris has a book coming out in November, The Nerdist Way. 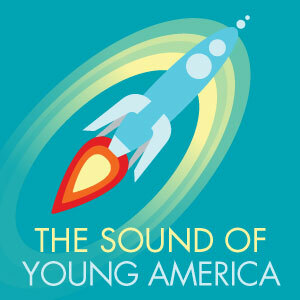 The Sound of Young America might air on proper radio through Public Radio International but host Jesse Thorn has a podcaster’s sensibility. Starting out on college radio, Thorn brings with him an unshakable indie feel. His weekly half hour show features some of the greatest known and lesser-known people in the entertainment industry. From musicians, to filmmakers, to authors, and comedians, Jesse is one of the best prepared and most knowledgeable hosts to-date. Simon is best known as the writer and star of zombie-parody film Shaun of the Dead but his British TV sitcom from the late 90s, Spaced, is really cute and worth adding to the Netflix queue. In all his work, Simon draws from his own sci-fi and comic book fandom to create endearing comedies that any nerd will love. Word on the street is, he’s a really nice guy in person.Here’s an interview with Simon on The Sound of Young America and one from The Nerdist. If you still haven’t had enough of this adorable nerd-boy, here’s an interview with WIREDmagazine. 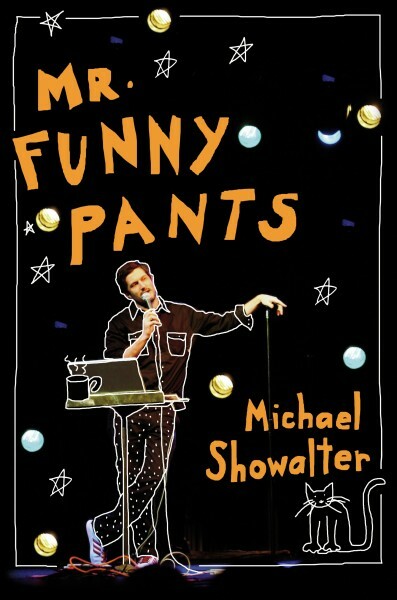 For those of us who grew up in the 90s, Michael Showalter is probably best known as “Doug,” the angsty teen with the cool dad from the MTV sketch comedy show The State. He recently came out with a memoir. Here he is on WTF for the release of the book, and here he is with his sketch buddy, Michael Ian Black, on The Sound of Young Americain 2009. While Jonathan Ames has done a ton of stuff since his tell-all essay collections, they are still what I love most about him. His other collection of essays, My Less Than Secret Life, is equally amusing. Ames changed the way I wrote—sometimes to my own detriment. Luckily, this was before the internet really took off and the only proof from those years are photocopied zines. 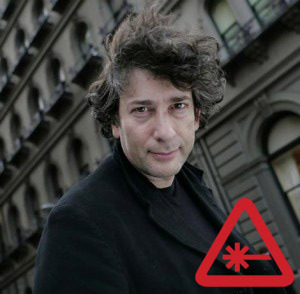 His bare-all stories about his subversive lifestyle are engrossing, hilarious, and horrifying—who wouldn’t want to follow in his footsteps? If you want to know what it was like to be a struggling writer living on the Lower East Side before the NYU students moved in, check out Ames’ early work.Listen to Jonathan on WTF and then listen to him again on The Sound of Young America where he tells a funny story about the premier of his HBO sitcom, Bored to Death. Simple Times is Amy’s follow up to her first bestselling craft book, I Like You: Hospitality Under the Influence. Her love of crafting is genuine but her brilliance for over-the-top earnestness shines through; that is to say, she pulls of sincere-snark very well. Before Stephen Colbert was a household name, him and Amy were co-comics, co-writing the underground comedic success Strangers with Candy. Listen to Amyon The Sound of Young America’s live show in New York. I was surprised to hear that Marc Maron and Sam Lipsyte are friends. 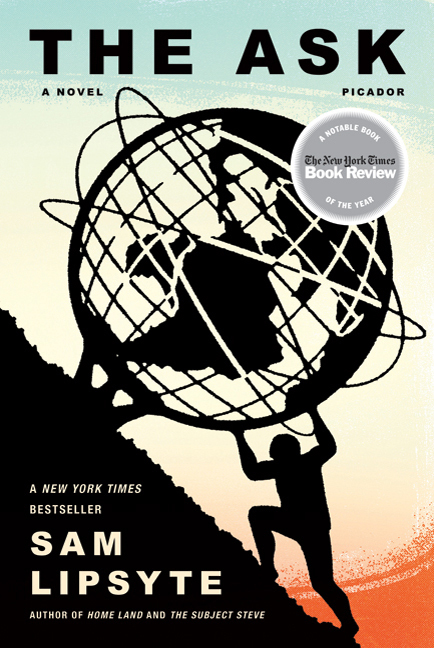 It was when I saw Sam in person, interviewing fellow writer Geoff Dyer, that I realized how funny was funny but for some reason, I never guessed he would run around with comics. It turns out Marc and Sam go way back. Marc endorsed Sam’s books on the Slate Culture Gabfest and recently had him on one of his live shows. You can listen to it here. 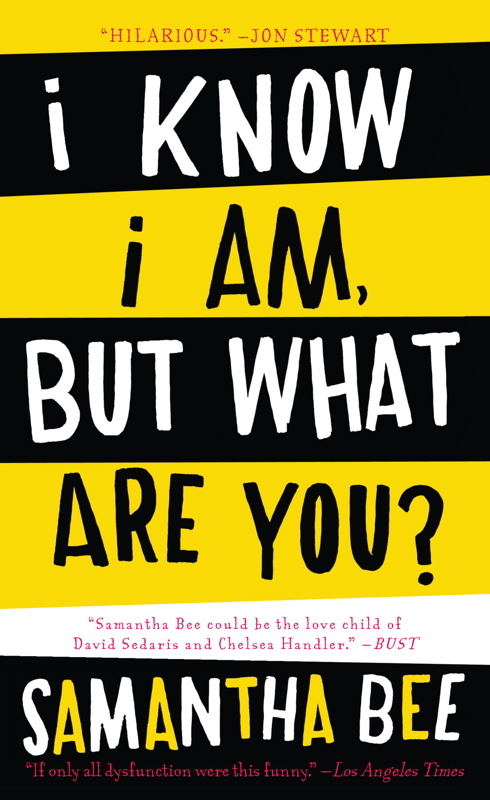 Sam’s latest book, one that’s been getting a ton of praise, is The Ask, so, I’ll suggest that one. I’ve pushed Neil’s book enough and god knows he doesn’t need my help but his interview on The Nerdist was incredible and over an hour long. Not nearly enough time for my liking but it will do. those who are unfamiliar with the science fiction genre could be quick to discount it as frivolous escapism for boys. while some books certainly fit that description, i’d argue that there are a few titles capable of going head to head with the greatest works of literature. many of the themes literary classics grapple with, which is one reason for their cultural endurance, are grafted onto the landscapes of faraway lands and played out between fantastical characters. ray bradbury is one such author who uses stories set in the future to speak to the political and moral questions of his time—and ours. born in illinois during the summer of 1920, bradbury is a true american writer; while growing up he was taken with the country’s burgeoning science fiction culture. his fascination with buck rogers, a fictional space explorer who appeared in newspaper comic strips, serialized films, and on television, offers an interesting anecdote. bradbury was teased by a group of boys at school for reading buck rogers comic books. embarrassed, bradbury caved to peer pressure, ripped up the comics and disposed of them in the trash. days later he realized he’d become depressed. why? buck rogers of course. so young bradbury, deciding that the boys werent his friends and that buck rogers was a more valuable presence in his life, went out and replenished his collection, vowing never to care about the teasing again—which is quite fortunate for the millions of high school English teachers who assign Fahrenheit 451 each year. drawn to the craft from an early age, bradbury became a full-time writer in his twenties, publishing short stories in the 1940s and then full-length novels in the 1950s. it was at this time that the world was reeling from its second major war of the century; fear of all-out destruction at the hands of the atom bomb weighed heavy on people’s minds: hiroshima and nagasaki had been bombed 5 years earlier. 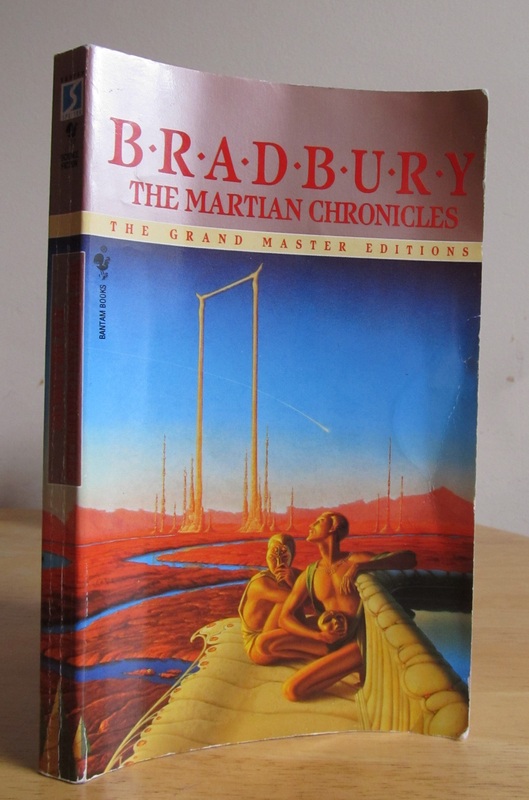 the martian chronicles, bradbury’s first short novel about human attempts to colonize mars, explores this anxiety. inhabitants of earth, noticing the degeneration of society and increased possibility of death at the hands of aggressive nations, opt to move to mars despite not knowing what they might face. anyplace is better than here is the message. but utopia is not in store for the adventurous humans—americans to be exact since, in bradbury’s story, the US is the only country to have developed the technology to make space travel possible. in the world of anti-colonial literature sartre, camus, and foucault come to mind but i believe bradbury has a place in that circle as well. his observations, poignant yet subtle, have the effect of a zen koan rather than a political science lesson. Far up the street the levee seemed to have broken. The black warm waters descended and engulfed the town. Between the blazing white banks of the town stores, among the tree silences, a black tide flowed. Like a kind of summer molasses, it poured turgidly forth upon the cinnamon-dusty road. It surged slow, slow, and it was men and women and horses and barking dogs, and it was little boys and girls. And from the mouths of the people partaking of this tide came the sound of a river. A summer-day river going somewhere, murmuring and irrevocable. And in that slow, steady channel of darkness that cut across the white glare of day were touches of alert white, the eyes, the ivory eyes staring ahead, glancing aside, as the river, the long and endless river, took itself from old channels into a new one. . . .the bomb exploded. They not only read the first but the second paragraph, the second and third pages, the fourth and fifth chapters. and so, if it’s Ideas you’re looking for, bradbury is an excellent guide. cognition (n.): 1. the mental process of knowing, including aspects such as awareness, perception, reasoning, and judgment. 2. that which comes to be known, as through perception, reasoning, or intuition; knowledge. cognitivism [psychology] (n.): 1. basic – a theoretical approach to understanding the mind, which argues that mental function can be understood by quantitative, positivist, and scientific methods, and that such functions can be described as information processing models. 2. little harder – the view that cognition consists in the operations of mental items which are symbols for the real entities. it is usually assumed that these mental symbols are identifiable with neural states. these states, and the neural processes, can be understood by analogy with computers. best known for his work in economics, tyler cowen of marginalrevolution.com came out with a book in 2009 about technology, which in paperback is called the age of the infovore: succeeding in the information economy. tyler’s main argument is that autism will show us where our world is headed, and how we can get the most out of it. Whatever the tragedies of autism may be, we can learn a great deal from autistics and from their cognitive strengths. Fundamentally the relationship between human minds and human cultures is changing. Today culture is not just about buying and selling straightforward commodities such as books or compact discs. Each day more fun, more enjoyment, more social connection, and indeed more contemplation is produced on Facebook, blogs, You-Tube, iPods, eBay, Flickr, Wikipedia, and Amazon.com—among other services—than had been imagined twenty or even ten years ago.. . .More and more, “production”. . .has become interior to the human mind rather than set on a factory floor. but he’s not worried; how can you be when your species, in the course of a generation, moved a factory inside its head? but the reason why tyler’s bullish is because he believes humans can harness, organize, and categorize their gadgetry and excel with technology by their sides. for example, self-education increases as information becomes more readily available. think back 20 years when you needed an encyclopedia to look up statistics of far-flung countries, and even then the information was bound to be outdated. now we have the CIA world factbook along with each country’s official homepage; we have iTunes university, hard-to-find books ready for purchase at the click of a button, and an endless stream of educational videos available on various sites, all found by entering a keyword into a search box. but what do we do with this information? how do keep from being overwhelmed? and probably most importantly, how do we not waste our time? this last question brings to mind something that clay shirky, a thinker on social and economic effects of internet technologies, said: it’s not information overload. it’s filter failure. what we need to learn is how to filter. There is quite literally a new plane for organizing human thoughts and feelings and we are jumping on these opportunities at an unprecedented pace. First, many autistics are very good at perceiving, processing, and ordering information, especially in specialized or preferred areas of interest. . .Second, autistics have a bias toward “local” processing” or “local perception.” For instance an autistic person may be more likely to notice a particular sound of a particular piece of a pattern, or an autistic may have an especially good knowledge of detail or fact. . .
my takeaway from the first part of the age of the infovore, which i must admit is really just a reinforcement of my own leanings, is that our technology can either distract and overwhelm us: stealing our time and productivity, or, it can move us along on the path of progress: becoming a powerful extension of our bodies and minds. there will be people on opposite ends of the spectrum with the majority spanning the places in between—also something common in autism. but unlike autistics, we have a fair amount of control where we end up. 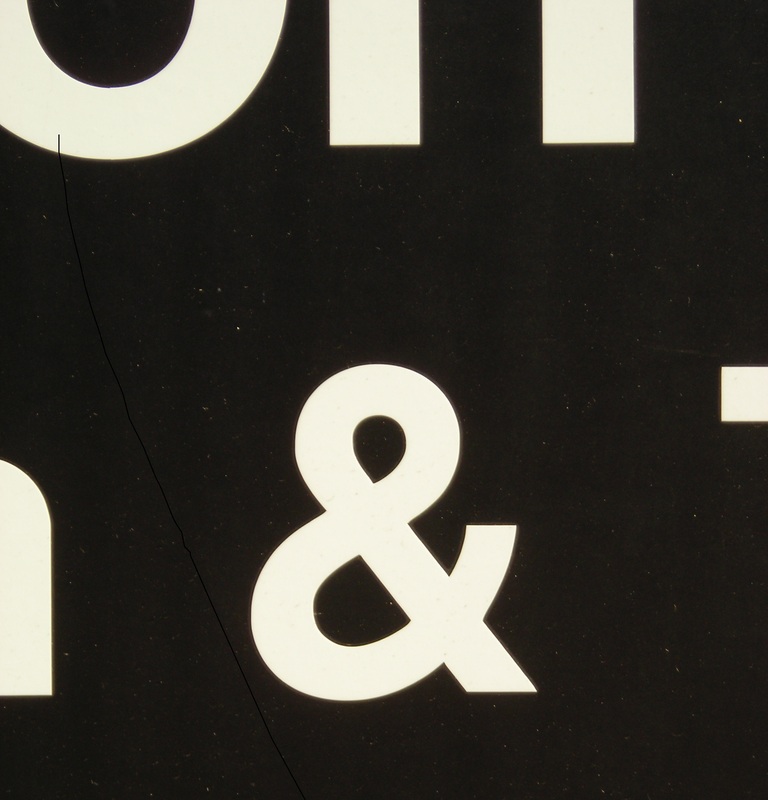 The glamour preposition of the last two decades, without question, is not a word but a symbol—specifically, the @ sign. It is the one common component of every e-mail address on earth. . .Of course, @ predates e-mail.. . .It eventually became a commonly understood symbol meaning “at the price of”—so common that it was included on the first typewriter keyboard in the late 1800s. Fast-forward a hundred years or so, to 1972. Ray Tomlinson, an engineer at the Cambridge, Massachusetts, consulting firm of Bolt, Beranek, and Newman, was working on a project in which staff members at the company would transfer files and send messages among a series of networked computers around the country: in other words, e-mail. To indicate where the sender was “at,” Tomlinson decided to use the @ sign to precede the name of the host computer. In an interview not long ago, he said the decision was pretty much a no-brainer. when you understand something, it becomes less frightening: less esoteric. grammar illustrates this point perfectly. my first active encounter with grammar was Strunk & White’s Elements of Style–the widely-read, much-loved, and sometimes contested style and grammar guide. i flipped through the slim 4th edition a few times but didnt have enough experience to know how to use it, or reason enough to use it for that matter. when i first picked it up, i felt i should read it cover to cover–like a novel. i was writing at the time but was only in the early stages; i hadn’t developed a “bigger picture,” a sophisticated understanding of the art, and was trying to cram years-worth of information that i should’ve learned in grade school into a few sittings. while i wasn’t quite ready to use the guide for tips, tricks, and inspiration, i knew i was missing an important piece of information indispensable to an educated class. as early as 10th grade i came across writers who used punctuation–or refused to–boldly. The Beats, mainly jack kerouac, were my informal introduction to these grammatical demarcations. kerouac’s experimental approach to fiction, memoir, travel writing, and journalism was exactly what i needed in my anarchic and angsty teen years. milan kundera, possibly to be placed on the opposite end of the spectrum, used grammar elegantly–like a school boy fearing a ruler across the knuckles–and through him, i viewed punctuation as precise, as if it were a road map–guiding readers through a terrain of words. when it comes down to it, regardless of how the masters use it–or don’t use it–punctuation is an art: commas, colons, periods, and dashes. they all mean different things; they all set the tone, pace, and beauty of a work. i asked around to some literary friends what their favorite punctuation mark was and was surprised by how many of them, without pause, mentioned the em dash. it’s one of my favorites too, especially when writing informal emails. 1. find examples in your daily paper and see why the journalist chose that mark of punctuation as opposed to a comma or a colon. 2. find an example of comma usage that could be more effective if an em dash were used. 3. write a sentence where an em dash at the end is used for dramatic effect.